"We saw one back in 1972. Remarkably similar conditions," Gawlik says. 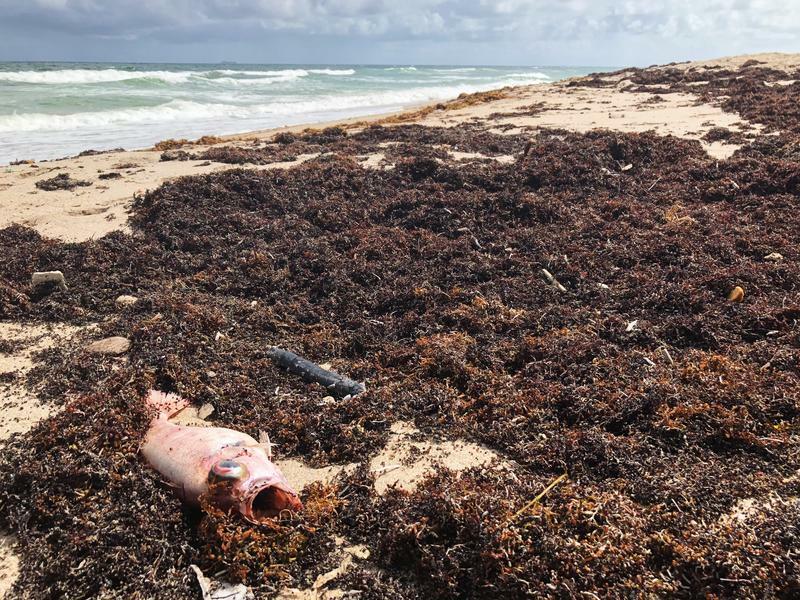 "[There were] strong east winds, there had been an outbreak on the West Coast, and we ended up with fish kills in Palm Beach County, respiratory problems, and so on. So very, very similar circumstances." The Florida Fish and Wildlife Commission (FWC) outbreaks of red tide on the East Coast date back to the 1800s, but there have been only eight since 1953. The algae came to the Atlantic from the Gulf coast via a current that connects the two bodies of water, which is common when looking at past outbreaks, according to the FWC. Dr. Gawlik said that South Florida's Atlantic coast also has a strong northern current that would not allow the red tide to linger for too long. The only lingering issue, he says, is the effect the algae will have on the food web. "It's getting in organisms getting eaten," Gawlik says. "Those effects can remain for weeks." Ocean Rescue Lieutenant Matthew Sparling parked by Lifeguard tower 1, or as they call it, "ground zero" for Haulover's Red Tide. 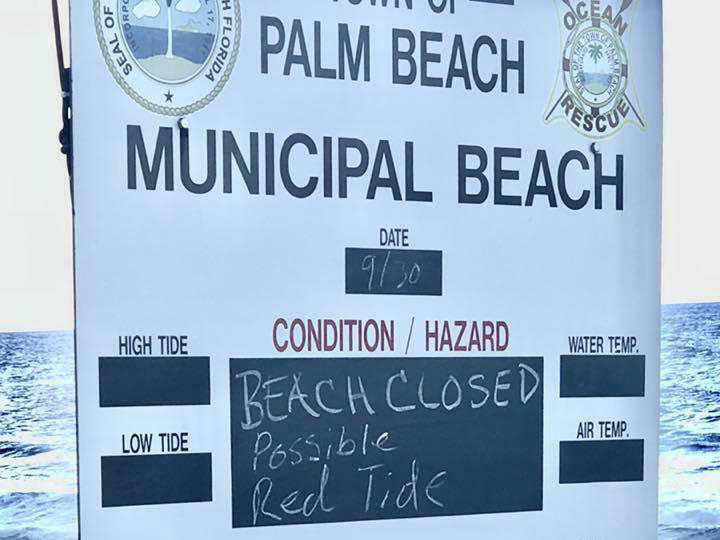 Red tide was first reported in Palm Beach County on Monday after beachgoers complained of itchy eyes and respiratory issues over the weekend. 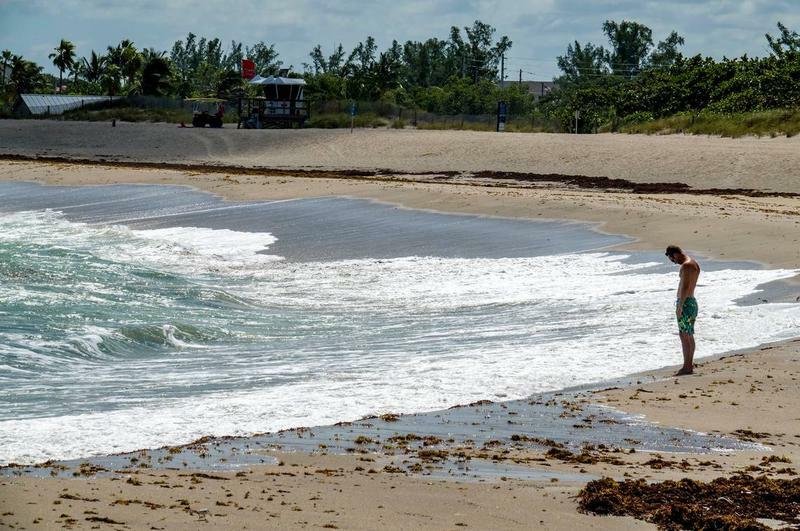 Miami Dade reported signs of red tide in its beaches just two days later. After testing, beaches in both counties reopened on Friday and resumed normal hours. 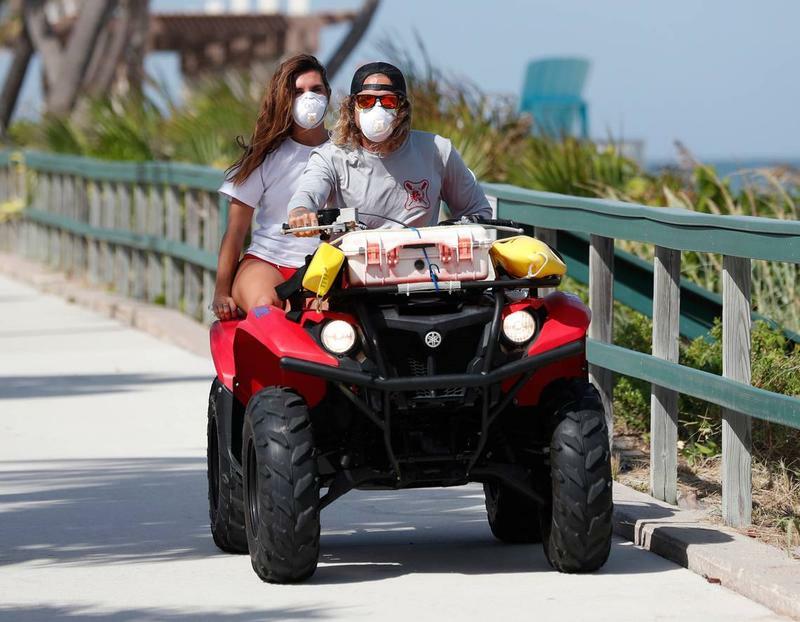 But Florida's Department of Health has made efforts to warn beachgoers of the health effects red tide can have. Signs are posted on beaches, and local health facilities have been informed on how to treat Red Tide. People with severe or chronic respiratory issues are advised to avoid beaches. Environmental Research Managers and FWC officials will continue to test and monitor water samples.